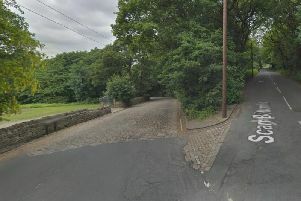 One of the main roads into Halifax has been reopened after a two car crash. The West Yorkshire Police force has confirmed that the road was been closed between the A58 New Bank out of Halifax and Stump Cross due to a road traffic collision. The crash involved two vehicles. Early reports indicated that two people have been injured. One woman is still trapped in her vehicle and firefighters are at the scene. Bus services have also been affected by the crash but are back on their normal routes now.